Has copper foil backing and a tin-plated finish that resists corrosion and oxidation;Unique adhesive creates secure contact with the application surface;Suitable for grounding and EMI shielding equipment, components and shielded rooms;Flame-retardant;Comes on a removable liner for easy die-cutting and handling;Withstands a wide temperature range of -40 to 266 degrees F (-40 to 130 degrees C);Rated for 600V applications;UL Listed and RoHS 2011/65/EU Compliant 3M™ Tape 1183 is an acrylic adhesive shielding tape. This flame retardant tape is suitable for applications that require outstanding electrical conductivity from the application substrate through the adhesive to the backing. It comes on a removable liner for easy die cutting and handling. The tape is rated for 600V dry applications. 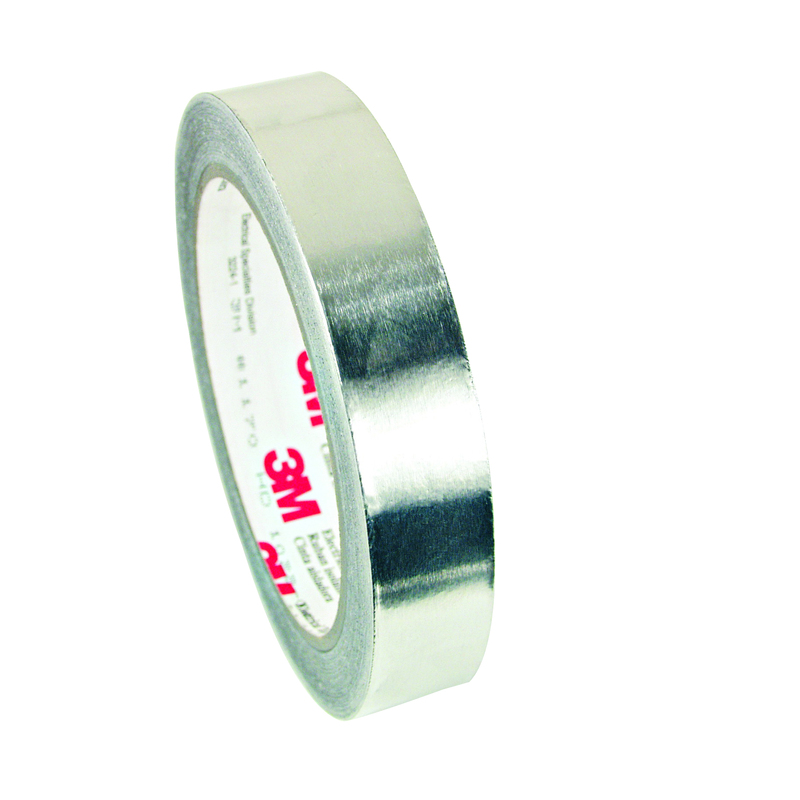 Jaco Aerospace and Industrial is your one stop resource for 3M(TM) 1183 Shielding Tape, 11.5 in x 18 yd Bulk on a 3 in Paper Core and all of your 3M Products, Tapes, aerospace and industrial needs.